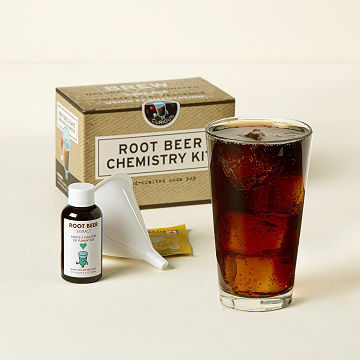 Little foodies will love this kit that includes everything they need to brew up a fresh batch of root beer. Craft beer. It's not just for mom and dad anymore. We're talking about root beer, of course. And now your little foodie can make their own at home. The best part: the kit includes everything they'll need—sassafras extract, yeast, a funnel, labels and instructions—and it's all natural (unlike a lot of store bought options. A great birthday or just-because gift for budding chefs and brewmasters, they'll earn their treat and learn a little science along the way. Made in North Carolina.